Share your trip itinerary with anyone in just a few quick steps! 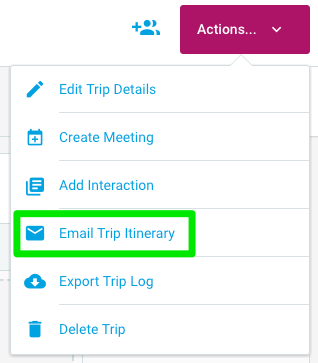 On any trip, go to the Actions drop-down menu in the upper-right corner and select "Email Trip Itinerary." 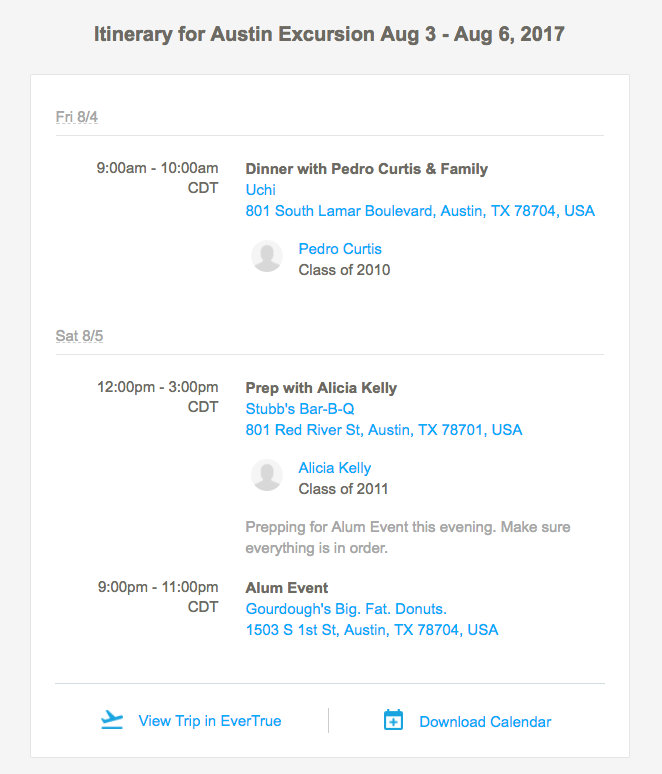 In the pop-up module, enter the emails of any contacts you'd like to share your itinerary with. Itinerary emails contain the details of all meetings in your trip. Title, date, time and associated constituents names are included as well. Recipients of your trip itinerary do not have to be EverTrue users. From there, recipients of your itinerary can choose to view your trip in EverTrue (if they happen to be a user) or download a calendar of your trip.